The JBox2 is designed to protect the optical feedthroughs and the fiber optic extension cables that are installed on the transformer tank wall. The JBox2 is an enclosure specifically designed to protect power transformer tank wall optical feedthroughs from the elements and from potential risk of damages. This protective enclosure install directly over the Neoptix’ optical feedthroughs tank wall plate. The tube-shaped protective enclosure has a flat side on the tube to receive various flanges that serves as conduit for, among many, optical cables from the power transformer tank wall plate up to the Neoptix signal conditioner. Being as much robust and resistant to the elements than conventional « self-made » enclosures, the JBox2 is a more economical solution and let manufacturers concentrate on other tasks during transformer manufacturing. Moreover, the protective enclosure, by being tied to the tank wall plate, which is welded or bolted directly onto the power transformer tank wall, offers an easier and faster installation than with other methods. This solution also eliminates the needs for drilling more holes or welding on the side of the power transformer. The protective enclosure has a cover that can be opened for servicing the covered parts and has a flat area for an easier and faster installation of conduits. This enclosure covers the optical feedthroughs that serves has the hermetic connection between the interior of the power transformer, where fiber optic temperature probes are and the exterior side to be linked to the Neoptix complete range of signal conditioners. The JBox2 enclosure has two specifically designed gaskets made out of 1/8 inch thick neoprene, one for the cover and one for the enclosure, to isolate the optical feedthroughs and the fiber optic extension cable from the elements. This updated version now provides space inside the enclosure to store excess cables. The big benefit from this is it virtually eliminates all messy fibers hanging around in your control cabinet. 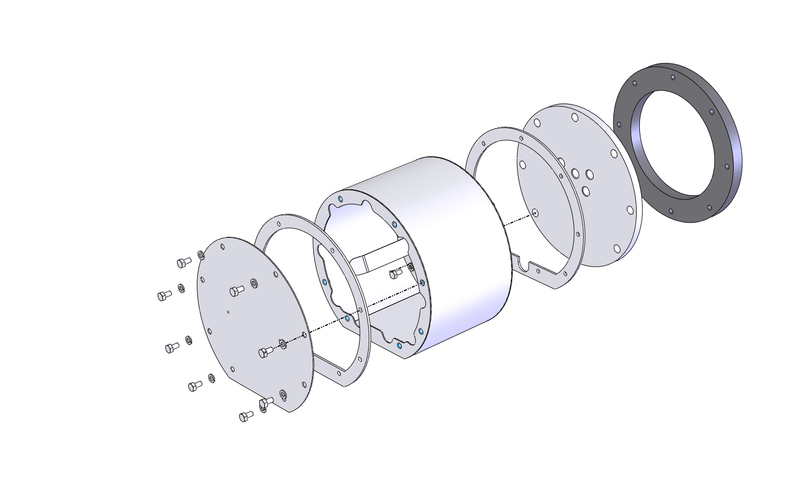 The JBox2 has a flat surface on the bottom of the enclosure cylinder allowing the installation of flange for conduits. It is manufactured using electro-plated 316 stainless steel (gage 16). 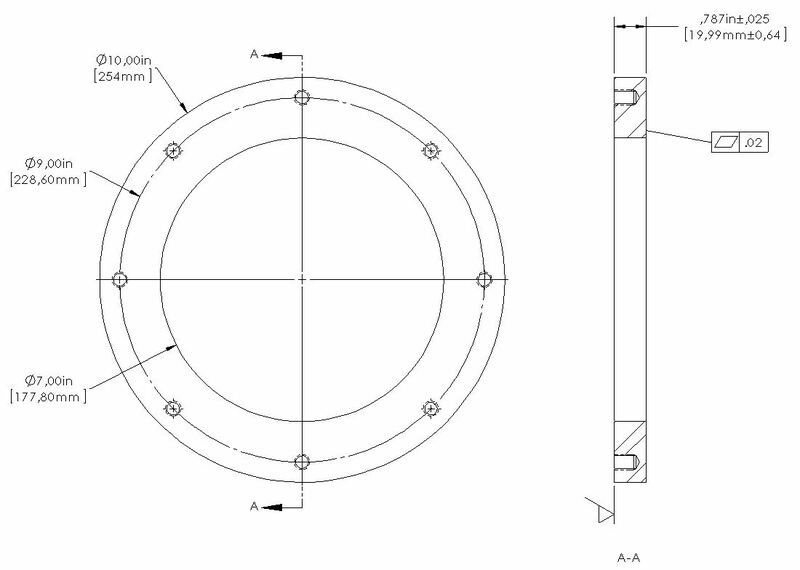 Matching corona ring, to be welded on transformer tank. Requires TWP with the "F2" option, 10 or 12 inches. In stainless steel or carbon steel (must be painted).